I've heard of some families overcoming step two of Dave's debt program in just one year, while other have taken seven years. But it's the small victories you accomplish with smaller debts that can keep you steady on your goal. Understanding how to get out of debt is complex; I had always believed there was no single, definitive answer to paying off debt, or guarantee I'd find success at the end of the tunnel -- that is, until I learned about the second step in Dave Ramsey's debt management plan. The meat of the Dave Ramsey Baby Step strategy is neatly packaged into the second stage of his program: The Debt Snowball. Not only does this baby step make the thought of lowering my debt seem fun and interesting, the snowball process is also practical -- and most importantly -- simple. Before I decided to apply my debt reduction efforts using the Dave Ramsey plan, I did what a lot of other Americans who could count to ten did -- I sought to pay down my debt by attacking the balance with the highest interest rate first. My justification was that, in the long run, I'd save myself hundreds of dollars -- if not thousands -- by avoiding the worst finance charges. For example, I tried paying down my $9,000 student loan with a 5.00% APR aggressively, and put my $1,500 student loan with a 2.50% APR last on my priority list. When crunching the numbers, this strategy made sense, but according to Dave Ramsey, I was going about it all wrong. "The math seems to lean more toward paying the highest interest debts first, but what I have learned is that personal finance is 20% head knowledge and 80% behavior," explains Ramsey. He argues that debtors need to feel a sense of accomplishment with multiple small wins, as opposed to one large win, in order to be motivated to move forward in their debt-reduction goals. Clearly, Dave Ramsey knows what he's talking about. After a few months of chasing the dream of annihilating my $9,000 student loan debt with the higher interest rate, the finish line still seemed incredibly far away, even after all my effort, that the long road ahead left me feeling jaded. It's this yearning to cross an account off the list that encourages people to stick to the plan, I realized. In the example cited above, Ramsey would have me work diligently to pay off the lower debt of $1,500 first, and work my way up to paying off higher debts later. The Debt Snowball method that Dave Ramsey champions encourages people in debt to start paying down their smallest credit balance. The maximum payment your personal finances will reasonably allow (without falling into bad standing with other bills and debts) is directed toward paying off the smallest debt balance, while the minimums due on all other debt obligations are paid in the meantime. If you have two or more accounts with equal balances, Ramsey recommends putting prioritizing the one with the higher interest rate. Once the first debt is fully paid off, the Debt Snowball continues with its forward momentum to pay down the next smallest debt you owe. However, this time, the payment you had once allotted to the first debt is now rolled into the next one on the list. This cyclical approach is what ultimately helps you work toward your biggest debt in an exponential fashion, since as you continue knocking off debts from the list (leave mortgage payments off the list), more of your funds are freed up to make larger payments. In the end, you will have paid off your debt in a few years, depending on how much you owe, and (ideally) start growing wealth in the later Baby Steps. Related: Debt Snowball Versus Debt Avalanche: Which is the Best Way to Freeze Debt? The Debt Snowball approach is straightforward, but our natural inclinations, or behaviors as Dave Ramsey puts it, are often what impede visible progress in debt management and reduction. 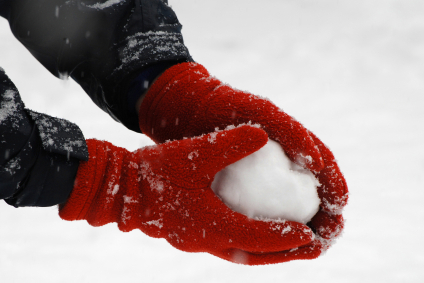 One of the precursors to applying the Debt Snowball to your finances is to stop adding on to your debt. Dave Ramsey recommends you steer clear of taking on more lines of credit. On the whole, I agree that adding more debt to your name when you're supposedly making every effort to do away with it is contradictory, though I do believe there are special circumstances when using a credit card can be financially advantageous. Bill payment automation is another technique that many financial gurus recommend, including personal finance expert, David Bach. After forgetting to pay my cell phone bill by the due date four times in the past year, I've finally resolved to set up automatic bill pay for a number of my recurring monthly bills, like my car insurance payment and cell phone statement. With these non-debt obligations being taken care of in the background, you can fully focus your efforts on the task at hand: paying off debt. You've got enough to think about. I'll admit that I don't know the exact balances, interest rates or due dates of my many student loans. There are just too many to remember off the top of my head, and this tally doesn't even include my car payments and credit card accounts. Broad estimations simply don't make your debts tangible enough to care about -- to ensure you've covered every corner of your debt problem, make sure to keep a spreadsheet or handwritten list of your active credit accounts, how much you owe, their interest rates and payment due dates. After closing an account, revisit the list so the information is refreshed in your mind, and update it as needed. As tempting as it is to allocate higher payments to as many accounts as possible, resist the urge to do so. Spreading your funds around, instead of focusing on a single account at a time only dilutes your efforts. Like Dave says, you need small wins to keep yourself motivated. It might sound ridiculous at first, but when you see that large $9,000 balance drop to just $8,975, and again the next month to $8,950, you'll understand the agony of trying to do too much too fast. If you've successfully managed to pay off a debt, congrats! But don't confuse the funds you've freed from one debt as wiggle room in your monthly budget. The biggest success stories of the Debt Snowball plan commit these funds to their next smallest debt until their grand total owed is a happy, healthy zero.